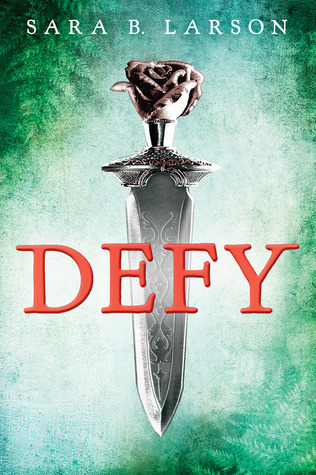 Defy is a wonderful book, but not for the reasons that one might think. Though the main protagonist, (and no...that is not a type-o, there are more than one) in this read is a girl fighter leading a double life as a boy, Alex/Alexa; the real meat of the story lies in unraveling the delicious mysteries that swirl around Prince Damian. This book's author does a wonderful job in twisting reader's loyalties during the course of this read. Especially, where the prince is concerned. She also builds both suspense and interest in her characters by revealing their secrets slowly. Although, in the case of Alex/Alexa, the secret of her being a girl was out to those that mattered long before the big reveal in the book. This is also where my problem with Alexa started. She is fine until she learns that the prince and long time friend and fellow guard Rylan, know her secret. Once everything is on the table so to speak, there is a marked change in Alexa; from self assured fierce warrior to swooning dithering school girl. Luckily for readers, there is plenty of action, magic, and intrigue to more than male up for the lapses into the land of the love addled teen. The ending had to be the best part. Yes, this is one of those! The best thing about it is that it is open ended; there is plenty of room for all of the questions raised at this book's end to be answered in later installments. 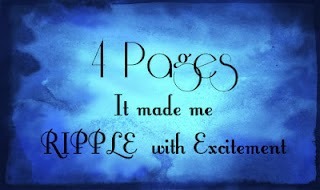 This is an awesome adventure and a great start to a series!